Have you ever noticed that those black marks just appear out of no where? Well these simple ideas can make removing them alot easier and you wont have to tear out your hair or rub holes in the walls to get them gone. 1. 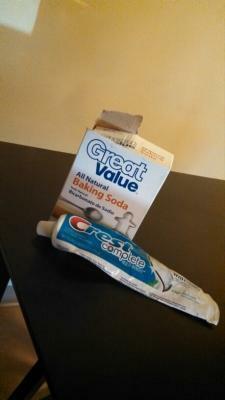 Baking soda- mix some in a little water and apply with damp sponge. Wipe off wipe clean a dry cloth. For stubborn scuffs make it into a paste. 2. Ivory soap and water- Add a little ivory soap to a little water on a clean rag and there it goes. 3. Tennis ball- This works great for floors , doors, and baseboards. Cut an X on one side of it and insert a broom handle. Works great no cleaner needed.